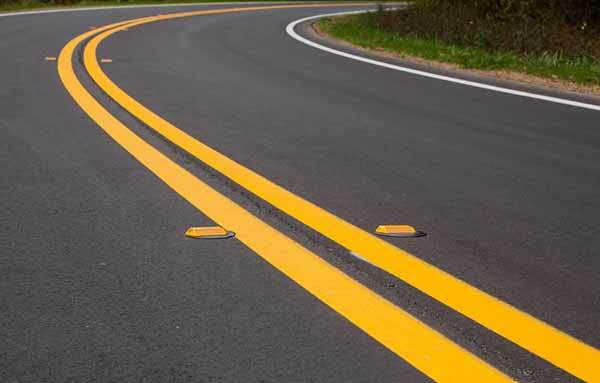 At Greik Bros Paving we’re your best bet when you are in need of a top notch asphalt paving contractor in Morris County NJ or the rest of the tri-state area. Asphalt paving, as with all other construction materials, has a service life, which can be prolonged with appropriate maintenance. As a sealcoating company we are effective at ensuring your driveway or parking lot has the optimal amount of protection. Things like weather, chemicals, salts, petrochemicals, etc. are capable of harming your driveway as time goes on. About 7-8 years is generally considered the life span of the typical asphalt parking lot paving according to the majority of industry specialists. Home driveways may last 10-15 years, without maintenance. Pavement design, level of traffic, and their exposure to demanding elements, like water, de-icing salts, grease, gasoline, etc. are several of the variables that their duration is contingent on. 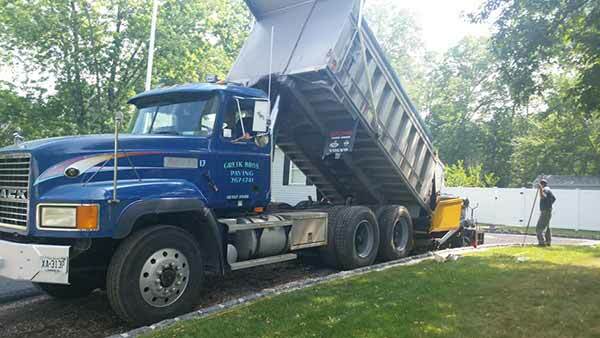 Greik Bros is here now to provide your asphalt parking lot paving in Montville NJ with the attention and care it deserves. Without calling a paving company in Morris County NJ, damaged areas will only be repaired as needed. This is going to mean that your paving is going to wind up looking awkward and unbalanced in the end. When you are running a business, you never want to wind up with a parking lot or driveway that appears unprofessional. 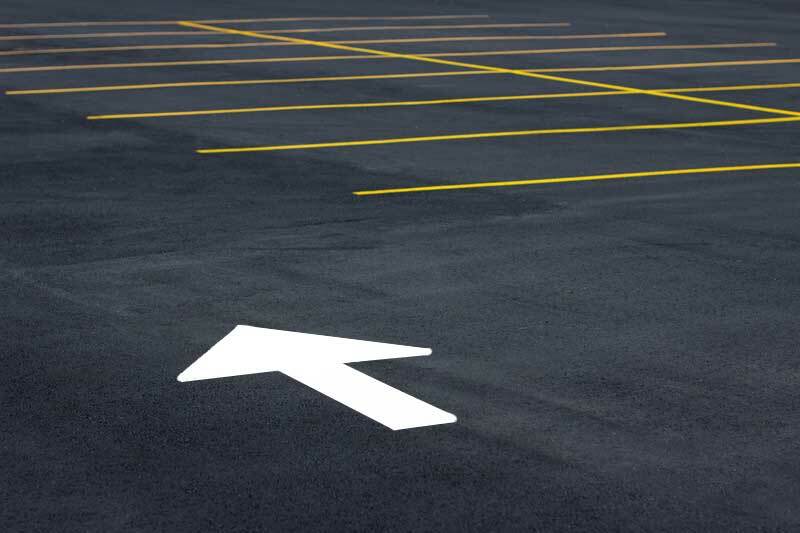 As your parking lot is typically the first impression of your business or office complex, why not begin on the right foot? The longer you delay maintenance for your parking lot the more money you’re going to wind up spending in the long run. In the first year of installation, you will typically find that there’s a strong chance of hair line cracks appearing. They’re going to only widen and multiply as time goes on. Water seeps into the pavement through these cracks and will result in damage to the base courses. Normally, any asphalt paving is going to require an overlay after seven years. Whether it’s a roadway paving or parking lot paving in it’s certain to wear over time, making it essential to contact a respected asphalt paving contractor in Morris County NJ. 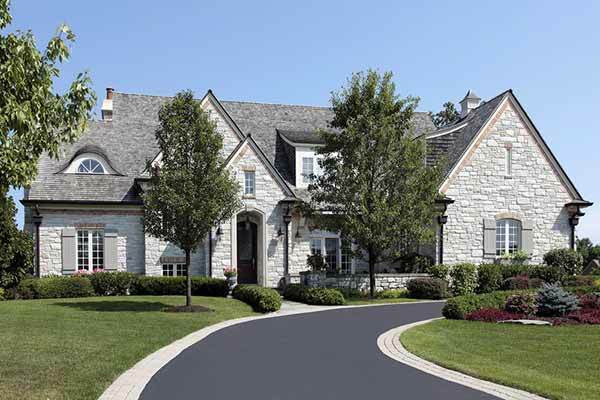 Sealcoating is capable of saving you money over time, which is something we always tell our customers as a trusted sealcoating and asphalt paving company in Morris County NJ. The steep price of new asphalt paving makes sealcoating a substantially more cost-effective alternative. For an extremely affordable price, you’re capable of protecting your company’s roadway paving from deterioration. Your asphalt paving can become brittle and more vulnerable to cracking as the sun causes essential oils and binders to dry out. The oxidation procedure from the sun’s rays can also be slowed by sealcoating. The number one enemy of asphalt is really water. Our paving contractors can provide weatherproofing agents which will repel it. Asphalt is porous naturally; when left unsealed, water will penetrate through the pores and cracks to disturb the base. It’ll eventually bring about failure of the pavement as soon as water makes its way into your paving. That is why relying on a respected sealcoating and paving company in Morris County NJ like Greik Bros Paving is a smart idea. Count on Greik Bros Paving when it comes time to tend to your roadway and parking lot paving in Morris County NJ. 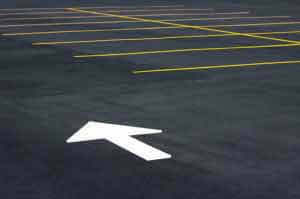 We employ only pros in parking lot sealing and roadway paving who are licensed and trained. Our staff’s high degree of attention to detail ensures that you’re going to be working with a sealcoating company that places the highest priority on a job done properly. Greik Bros Paving has had the opportunity to establish ourselves as a leading pick for a top choice for an elite sealcoating and paving company in Montville NJ for good reason. Whatever your paving or sealcoating requirements might be, we’re merely a phone call away.